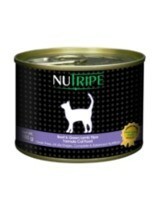 Nutripe Fit comes packed in a nifty 95g can with a clean and sleek design. 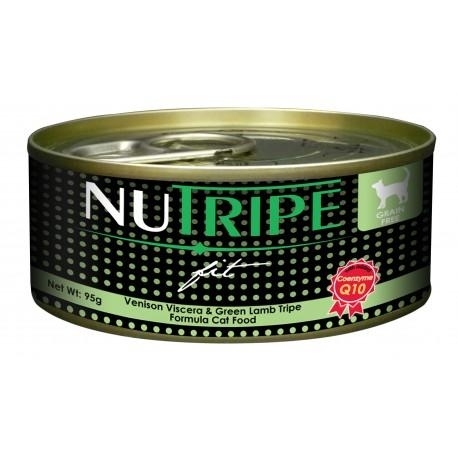 These formulas, with added Taurine, are formulated specifically with the well-being of cats in mind. 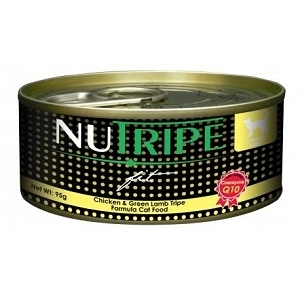 Enhanced with Coenzyme Q10 which supports cardiovascular health, gum health, immune system and energy levels, it provides a healthy alternative for cat owners. Cats will love the good old green tripe taste coupled with additional benefits.